Review Board 1.7.22 is out. It's primarily a bug fix release, with an important security update (particularly for public installations). An XSS vulnerability was reported that we've patched that involves the Search field. If you're running a 1.7.x release, we recommend updating to 1.7.22. There's also a large number of bug fixes in this release. We've been working hard on going through the bug tracker and fixing up as many bugs as we can. This includes Git diff parsing fixes, compatibility improvements for Mercurial configurations, easier support for enabling HTTPS, and more. We thought it was long past time to show off some of the excellent work our UCOSP Fall 2013 students have been doing, and introduce you all to our Open Academy Spring 2014 students. In Fall of 2013, we had a batch of great students from across Canada: Elaine, Natasha, Edward, Behzad, and Alissa. We met up at Mozilla in Toronto and got everyone set up. From there, they flew through the semester, adding some great improvements to Review Board. Elaine wrote an extension for effectively using checklists for code review. Natasha put together an experimental project for auto-suggesting reviewers on new review requests based on the files that were modified, in order to target those people who may know the code best. We're hoping to optimize this (some database changes may be needed on our end) and get it into a future release. Edward rewrote our search support for 2.0 to use Haystack, which is a lot easier to set up than PyLucene. He also improved RBTools by adding rbt setup-repo, adding the --commit option to rbt patch, and adding the --update option to rbt post. These are all part of the latest RBTools releases. Behzad did a bunch of work to get our new trophy system in place. We still have some work to do to integrate it, which we're hoping to do after 2.0, but the end result will allow for new types of trophies, a trophy case to see which trophies you've collected, and extension support. Alissa added a new page in the Administration UI for doing a security screening of the site. It can help highlight known configuration issues on the server that need to be addressed to keep things secure. This is going into 2.0. We put a little demo video together with our Winter team showing off all their work. Check it out! It was a fantastic team, and we're very thankful for all the great work they've done! We participated in Open Academy this year for the second time, and were once again privileged to have another fantastic group of students, spanning schools across the globe. This semester, we have Anselina, Bhushan, Edwin, Iines, Joonas, Mirai, Olessia, Stephanie, Tami, and Tomi working with us. 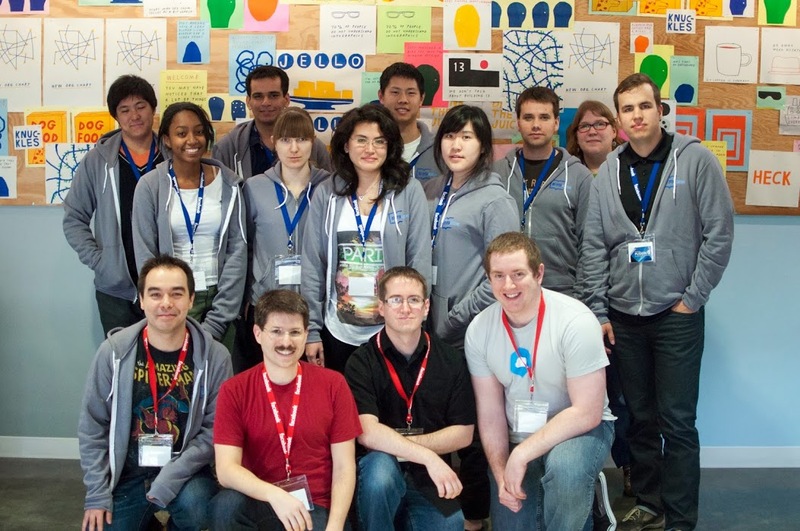 We met up at Facebook HQ in February for a fun and intense weekend of hacking. There, we got to know each other, ate some donuts, figured out projects for the semester, went bowling, and got to hacking. Anselina and Bhushan are working to add official support for pre-commit and post-commit hooks for Git, Mercurial, Subversion, GitHub, and other services. These will be able to close out review requests when the commits are pushed, and enforce approval before pushing changes. Edwin is making the contextual diff fragments in reviews a bit nicer by allowing you to expand them to get a better idea of where the comments were made without having to jump into the diff viewer. 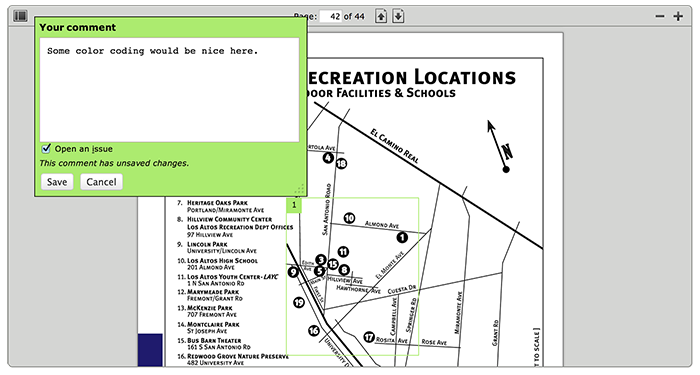 Iines is working on making it easier to link to specific lines in the diff viewer. Joonas and Mirai are performing some usability research and development on improving our mobile experience. Olessia is expanding our support for hosting services. She's adding Review Board 2.0's post-commit support for more hosting services, and providing a lot of the base work needed to revamp the repository configuration experience. Stephanie is making the widgets in the Administration UI reorderable, and allowing admins to add and remove widgets. She'll also be adding extension support for custom admin widgets! Tami is improving the user page to be more flexible. It will be updated to let you see all the reviews made by that user. Tomi is adding deeper support for bug trackers. With this work, it'll be possible to update bug reports when the status of review requests change, and to show information on a bug when mousing over a bug number. They've been making great progress so far! They also all have work going into Review Board 2.0 or RBTools 0.6. Not a bad start! Here's to another exciting semester!